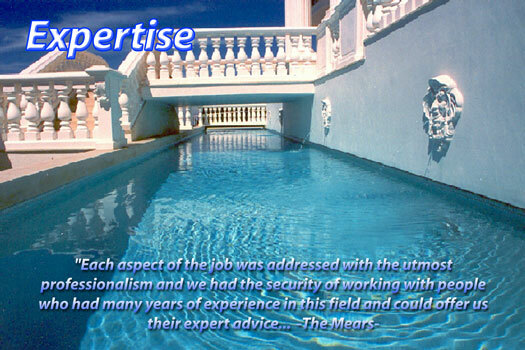 The Swan Pools Experience - Quality and Elegant Swimming Pool Design and Construction Since 1954. Only the highest quality of work from local craftsmen meet the exacting standards set by Swan Pools. 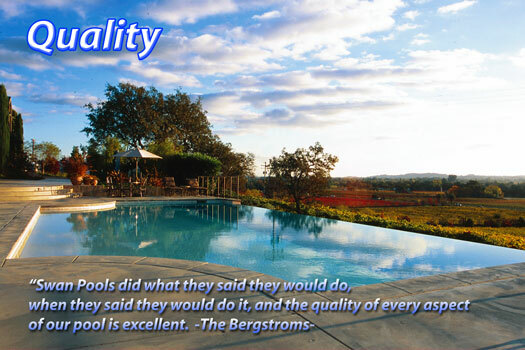 The entire process is enforced through Swan Pools' Active Quality Assurance program. At Swan, we believe in dreams. Your dreams! Before you call us - or any pool design company - we encourage you to go outside, relax in your yard, and let your imagination roam free. Make notes for yourself, and discuss them with your family.This active participation in the quest for excellence is just one of the reasons why Swan Pools has been doing business for so many years while becoming a regular household name. 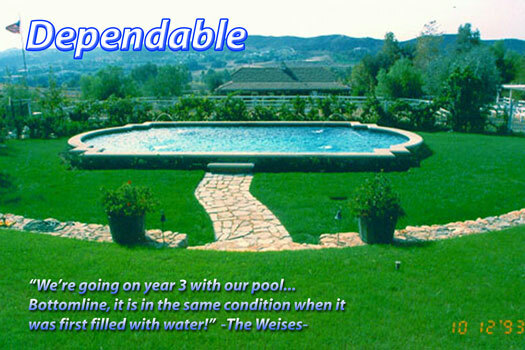 Swan Pools is a dependable company that you can rely on to offer a superior product and service. In fact, Swan Pools currently boasts one of the most extensive and relied upon warranty, service, and repair programs in the state. Not only has Swan Pools become the pre-eminent pool and spa contractor in California, the company has applied its expertise to complete backyard environments. From designing, engineering, through construction, Swan Pools has been able to meet or exceed the needs of their customers with a level of expertise that is unparalleled. Founded in sound engineering design and quality driven construction, Swan Pools has built family backyard paradises on hills, slopes, and beaches. And all measure of large and small yards. This year Swan Pools is celebrating its 65th Anniversary. For over a half century it has been setting and achieving goals in pursuit of excellence. Creating dreams with a combination of horticulture, rock structures, concrete art, fire, waterfalls and streams, water displays, and pools/spas has been its passion and reward. Continuing to expand their capabilities Swan Pools has its eyes fixed on the future. Swan Pools is educating itself and creating not just a backyard paradise, but also an Entertainment Destination.